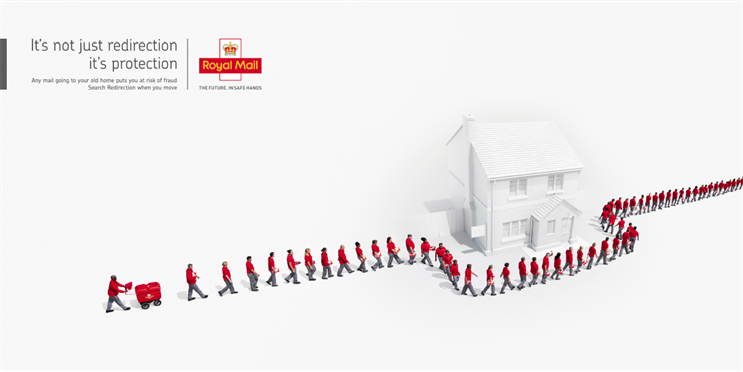 M&C Saatchi has unveiled its first work for Royal Mail since winning the account last June. Under the new brand positioning "The future. In safe hands", the creative will run across 6,000 outdoor sites for six weeks and is supported by digital and social. The ad, which promotes Royal Mail’s redirection service, is the first release in a suite of work due over the next month, which covers various unique services offered by the provider. The creative directors on the ad were Dan McCormack and Luke Boggins, assisted by creative team Robert Graves-Morris and Dipesh Mistry. Media for the campaign has been handled by Arena Media. M&C Saatchi's chief executive Tom Bazeley said: "Royal Mail is 500-years-old this year. Playing a small part in helping them prepare for the next 500 is quite something. This work marks the start of a very interesting long-term campaign from an important brand that has a very exciting future." The campaign was intended to demonstrate why Royal Mail was the "unseen protection in the background making sure that life runs as smoothly, safely and securely as possible," said director of marketing Ben Rhodes. In April, Lida won Royal Mail’s consolidated direct marketing account. Previously Havas Helia handled customer engagement, while Publicis Chemistry worked on Royal Mail's business-to-business CRM account.